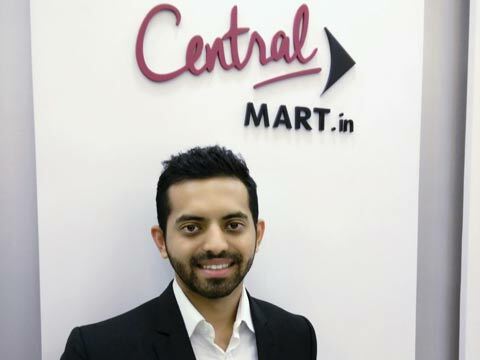 Centralmart.in is an e-commerce start-up that focuses on home improvement space in India. As a one-stop-shop, we sell everything right from building materials, hardware, lighting and bathroom products to furniture, kitchens, furnishings and decor. We are addressing a $50 billion+ market wherein not a single, organized, large-scale player exists in spite of India being one of the largest countries in the world by number of households. Currently, people depend on mom and pop, brick and mortar stores which are highly fragmented and unorganized with limited geographic reach, which makes it very difficult for the consumer to discover and get the right product at the right price. Centralmart.in aims to simplify and fundamentally transform the way in which home improvement is done in India - similar to how multi-billion dollar enterprises such as Home Depot, B&Q and Build.com have done in the West. What made you venture into online? Centralmart.in was born out of my own experience of renovating my home. I spent days in crowded bazaars and wholesale markets to discover and buy products, negotiating with unorganized vendors and still never being sure if I was getting the right product at the right price. I starkly remember one instance in which one of the lights I bought blew up in one week, so I took it back to the vendor. That guy had the audacity to point to a board in his shop which said "No Warranty, No Exchange". My requests to get the product fixed fell on dumb ears, which annoyed me. I told him that I will never buy from him again, to which he replied "If you go, another one will come. People don't have an option!". This is when it struck me that even though everyone owns a home, there is not single organized player in India from where we can buy all building and home products. Someone whom we can trust and also get professional service/ post-sales support from. Hence, I decided to create this company myself. How have you priced your product as the Indian consumer is price conservative? We fully understand that the Indian consumer is extremely price-sensitive, people work really hard to make money so every rupee has to be judiciously spent. Centralmart.in offers everyday low prices with discounts upto 60% anytime of the year. We also have category-specific and occasion related sales multiple times in the year which gives additional savings to our customers. We are price leaders in many categories backed by an efficient supply chain. We also offer a 'best price guarantee' for bulk orders - if you get a better price, we will refund the difference! It cannot get any better. Who are your competitors in this segment? What strategy do you use to retain your consumer? There are some successful, well-funded players in the furniture space such as Pepperfry, Fabfurnish and UrbanLadder as well as new entrants. Even horizontal players such as Flipkart and Amazon have entered the furniture space. The home improvement space has so far been largely untapped because of the complexities of the trade. What we offer is a wide breadth of brands and products in every category we sell, strong technical content, specialized domain knowledge and a customer experience which is unique to this industry. We are also developing technology which would soon transform the way customers do home improvement. Customers appreciate our wide product selection, everyday low prices and customer service which along with focused technology will differentiate us from the competition. Where do you see your brand in 5 years down the line? Centralmart.in will be the go-to-place for home improvement in India, and will help organize the highly fragmented and unorganized market. While we will offer comprehensive, technology backed home improvement solutions to our customers, we will also enable our vendors get data and customer insights which was impossible until now in this industry. This will further create efficiencies in the eco-system and benefit the consumer. Tell us about your expansion plan? Centralmart.in was launched end-March 2015, so we are 4.5 months old as of now. We have a team of 15 across functions, and more than 50,000 products from 150+ brands on our portal. We have fulfilled orders from over 25 cities across 15 states in this short span, and are gaining traction by the day. Customer response has been very exciting. We intend to double our team to 30 by end of this year, and focus on expanding product selection, technology development as well as brand building. We will be expanding to 5 new cities next year, and are working on some innovative, never-seen-before ideas as part of our aggressive expansion plan.